I often have this perspective that as a Christian, I need to always be diving into the New Testament. I mean it makes sense; that is where the Christian tradition begins. It contains stories about the life, death, and resurrection of Jesus, the formation of the Church, and the struggles the early Church faced in its first centuries of existence. But this tradition is based and built off of the text in the Old Testament. The Old Testament serves as the foundation for the New Testament. In order to fully understand the New Testament and to glean as much as you can from it, you need to have a deeper understanding of the Old Testament. Even the phrase “Old Testament” implies that there must be a “new,” whether the “new” is a continuation or a revelation from the old work. 1. The Old Testament is cool. As a history and religion major in college, I find anything about the past fascinating! The Old Testament is a historical piece that covers over three thousand years of history (even more depending on how one interprets time in Genesis). The Torah alone covers 2,700 years beginning with the creation story and ending with the death of Moses and the Israelites about to enter into the land of Canaan. The Old Testament is filled with rich history and stories you can’t find anywhere else. It’s dramatic, chaotic, mysterious, and at some points appalling. I only discovered this after taking an Old Testament and a Torah class in college. If you have a religion department at your college, take one of these classes. I have learned more about the Old Testament in a semester class than I thought I could ever know. 2. The Old Testament is challenging. 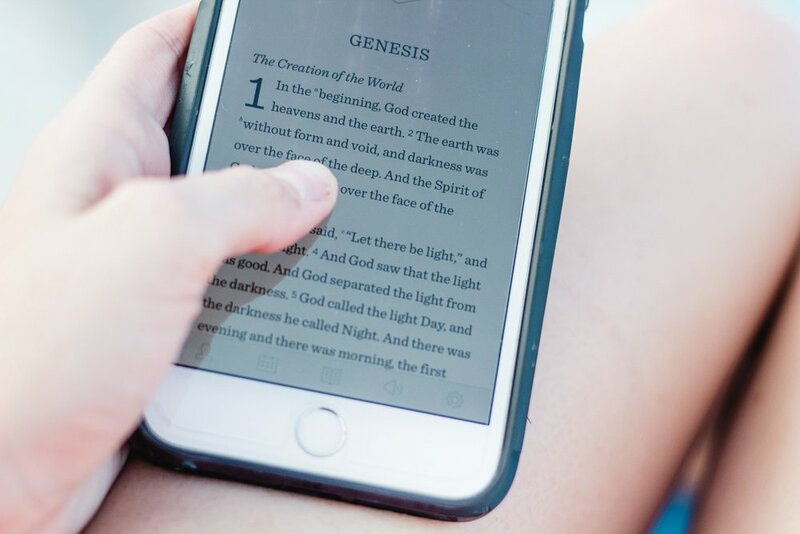 One this is for certain—the Old Testament is extremely challenging, from both an academic standpoint and a personal standpoint. There are stories, people, and events that are deeply disturbing. In diving completely into the Old Testament, you expose yourself to these incidents that appear to completely contradict the Christian faith. Just look at Genesis, the first book of the Bible. It starts off with one of the biggest debates between faith and science in the modern world, but it is also one of the most misinterpreted stories in the Bible. This, and other incidents like violence against women, restricting laws, and sacrifice to name a few, do not coincide with the modern world. You stop for a moment and think, “How can this be the scared text for all of Christianity when it is filled with horrible things.” I definitely have had this thought numerous times, but it is one that all Christians should have. We have to be constantly challenged by our faith. If not, we become complacent. We become stronger the more we wrestle with our faith, so that you can begin to solidify what you believe and why you believe it. 3. In order to understand who Jesus was, we have to understand the Tanakh. Now I’m about to give you a basic understanding of the Torah and Jewish religious context around the time of Jesus. First, Jesus was a Jew, and his sacred text was the Torah (Genesis, Exodus, Leviticus, Numbers Deuteronomy). Tanakh includes the law (Torah), the prophets (Nevi’im) and the writings (Ketuvim). The Tanakh serves as the foundation for Jesus’s faith. Jewish faith around the 1st century CE revolved around several aspect, but in particular Jews viewed themselves as God’s one people and that God elected or chose them. An explanation to this is that Jews were the only people to accept God’s law. In Exodus, God became the God of the Israelites at Mt. Sinai, and the Israelites became his people represented by the 10 Commandments and the rest of the law (Torah). Since God made a covenant with the Israelites; the commandment are how the Israelites uphold their side of the covenant. The Torah, or law, is seen as a gift from God, a way to continue to keep the special relationship between God and the Israelites. That’s why much of Jesus’s teachings revolve around the law. He calls us to first and foremost follow the law. “Do not think that I have come to abolish the law or the prophets; I have come not to abolish but to fulfill. For truly I tell you, until heaven and earth pass away, not one letter, not one stroke of a letter, will pass from the law until all is accomplished. Therefore, whoever breaks one of the least of these commandments, and teaches others to do the same, will be called least in the kingdom of heaven; but whoever does them and teaches them will be called great in the kingdom of heaven. For I tell you, unless your righteousness exceeds that of the scribes and the Pharisees, you will never enter the kingdom of heaven.” -Matthew 5:17-20. Jesus means in Matthew 5:17-20 that he came to correctly interpret the laws. He created lighter commandments. For example, one commandment is not murder which is a heavy and weighty commandment. Jesus creates a lighter commandment by saying to have no anger or hatred (Matthew 5:21-22). There are plenty of examples like this across the New Testament, all dependent of the reader knowing the Old Testament. So, the next time you are out looking for a new study book or devotional, or you’re trying to find a final class for your schedule next semester, look into studying something from the Old Testament! It will not disappoint, and it could turn you into an Old Testament nerd like me. If anyone ever wants to talk about the Old Testament, I’m your girl. Hi girlies! My name is Whatley Hamilton, born and raised in Nashville, TN and just graduated from Furman University, majoring in History and Religion. On any given day, you can find me drinking English Breakfast Tea, reading a good book, and listening to true crime podcasts! My favorite things to talk about are whales, my basset hound Louis (@louisthebassethound), and random biblical history facts. I love building and sharing in community, pouring into the lives of young women, seeking to find themselves and their relationship with our sweet Lord! I can’t wait to spend the next couple of months with you.